A late-afternoon bounce in U.S. equities helped lift investors’ spirits, but doubts still linger as key indices hang near their 200-day moving averages and as tech continues to struggle ahead of earnings season. 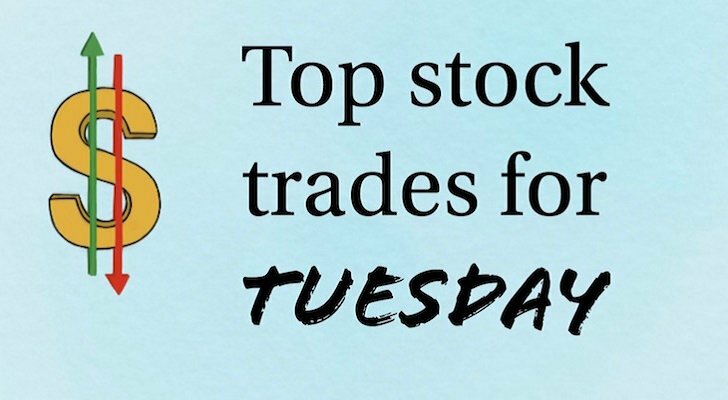 Here are our top stock trades to start the week. A top and bottom line beat doesn’t get you very much. Investors saw that on Friday from JPMorgan (NYSE:JPM) and again on Monday from Bank of America (NYSE:BAC). Bank of America fell several percent before rebounding toward flat in Monday’s session. The great thing about many of these banks? The risk/reward. 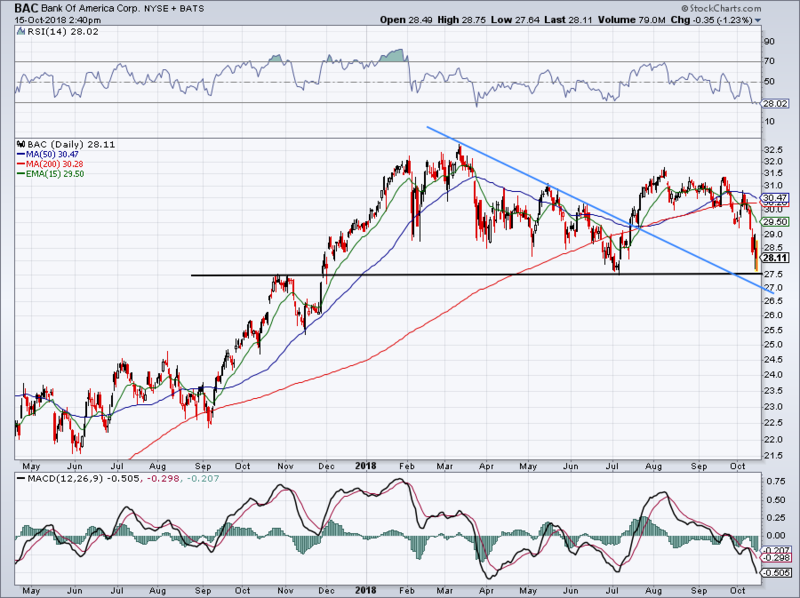 Buyers can step into BAC stock knowing that a close below $27 can be their stop-loss. With earnings off the table, we have less headline risk to worry about and a rebound up to the $29.50 to $30 area is on the table. Traders got a chance to buy at $27.65 today, and if they’re frequent users of Twitter, I had a callout for them. 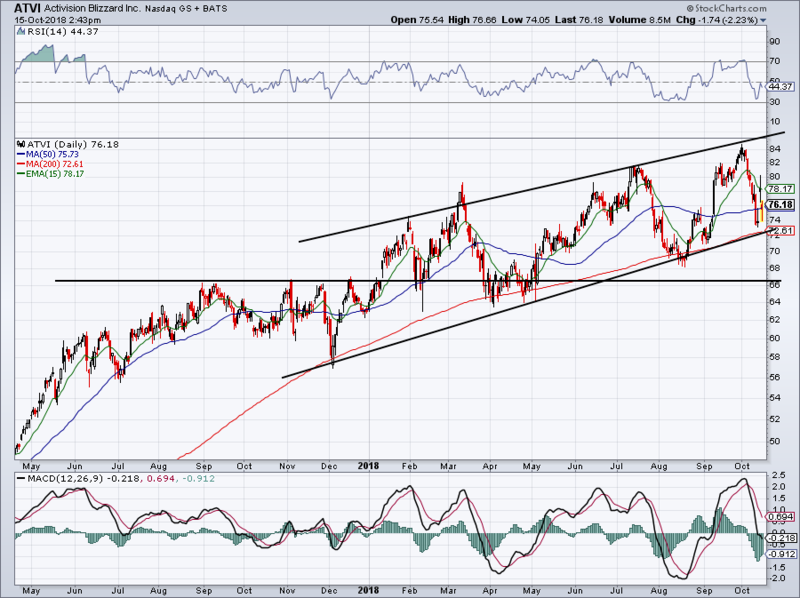 Like BAC, Charles Schwab (NYSE:SCHW) also reported earnings. However, unlike BAC, SCHW does not have as good of a setup. 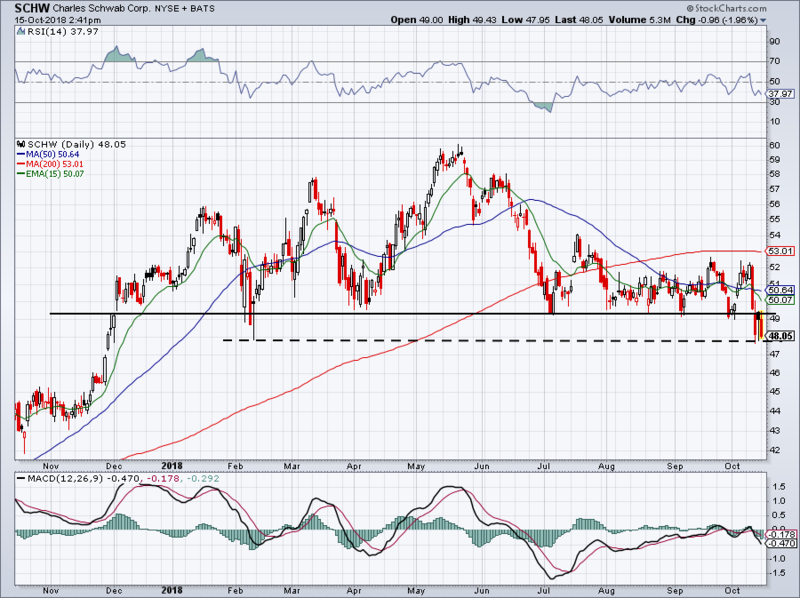 SCHW stock rallied to and failed to get above prior support at $49. It’s now clinging to its February low at $48. Curious bulls can take a flyer on this with a tight stop if they want, but I’d rather buy this on a close over support, which is now shaping up as a resistance. Sticking with bank earnings, Goldman Sachs (NYSE:GS) will report its quarterly results on Tuesday before the open. Currently, shares are bumbling around the bottom of its trading range near $215. So far, we’ve seen a mixed reaction to bank earnings, but the volatility has been pretty low. Up or down a few percent is nothing to get to worked up over and it’s likely we’ll see a similar move out of GS. If bulls want to go long, keep in mind that a close below $210 would thrust the stock into no man’s land. Sharing the spotlight on Tuesday morning with Goldman Sachs will be the quarterly report from Johnson & Johnson (NYSE:JNJ). The market ruined the excellent, albeit unsustainable uptrend for JNJ (blue line), as shares have now fallen about $10 per share from the recent highs. 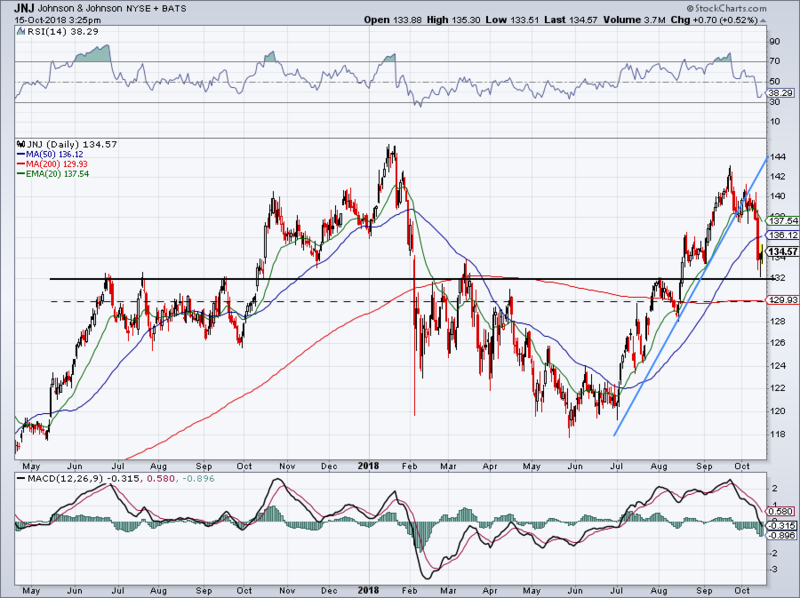 As long as JNJ stays over this line-in-the-sand at $132, bulls can stay long. 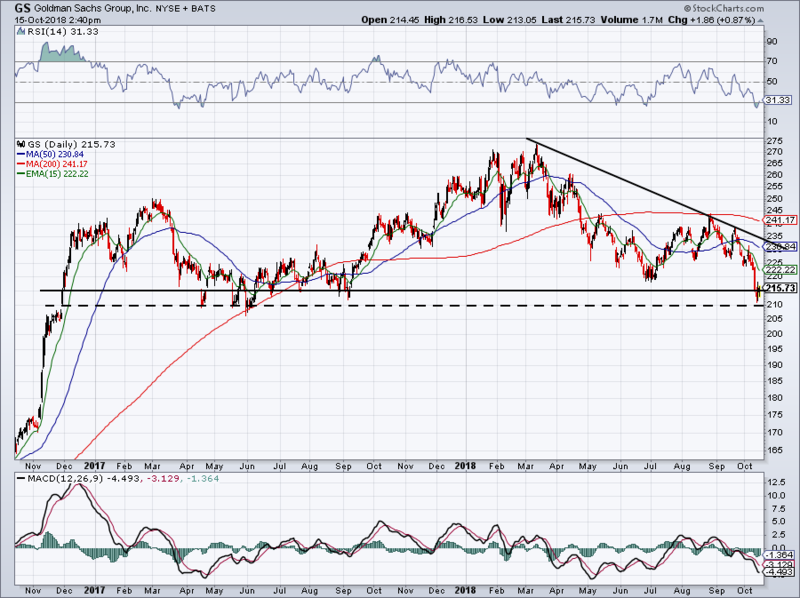 For those with a longer term outlook, over the $130 level and JNJ still looks constructive. On a rally, see how JNJ handles that $136 to $137 level, where the 20-day and 50-day moving averages currently rest. No earnings for Activision Blizzard (NASDAQ:ATVI), but the company did release its flagship Call of Duty video game this weekend. Shares popped on Friday and pooped on Monday, falling about 2% to the end day. What now? Bulls can stay bullish so long as ATVI stays above trend and the 200-day moving average. It’s great seeing ATVI fight to stay above the 50-day and it puts the top of its channel range back in play, currently up in the mid-$80s. Of course, the broader market will need to play a role in it getting there, but crazier things have happened. On the downside, a break below the 200-day moving average could get ATVI down to that $66 to $67 level, but also remember that it does chop around the 200-day from time to time. Unless markets are really dicey and if bulls are more long-term than short-term, I would use a looser stop-loss than 200-day as a result. Bret Kenwell is the manager and author of Future Blue Chips and is on Twitter @BretKenwell. As of this writing, Bret Kenwell is long JPM, BAC and JNJ. Article printed from InvestorPlace Media, https://investorplace.com/2018/10/5-top-stock-trades-bank-earnings-bac-gs-schw-jnj-atvi/.